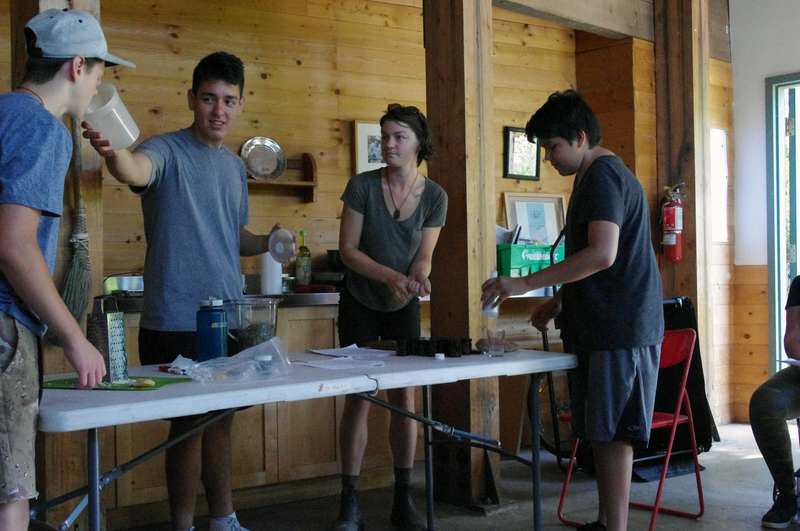 Last day of a very successful program. 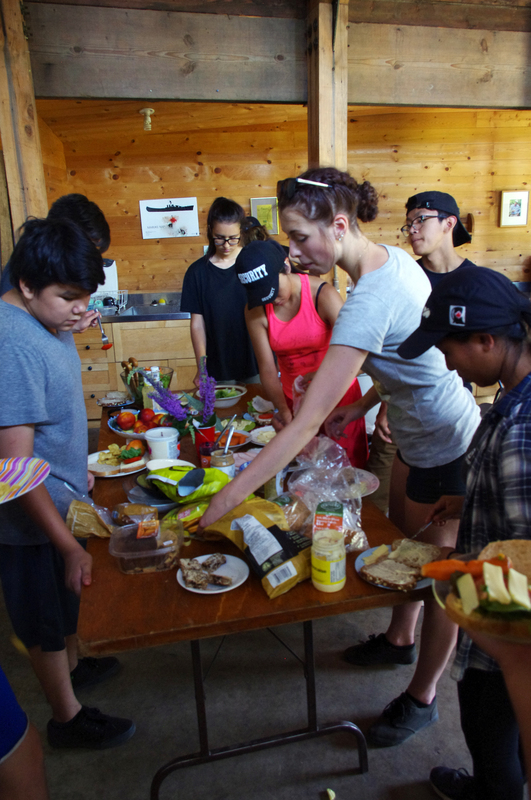 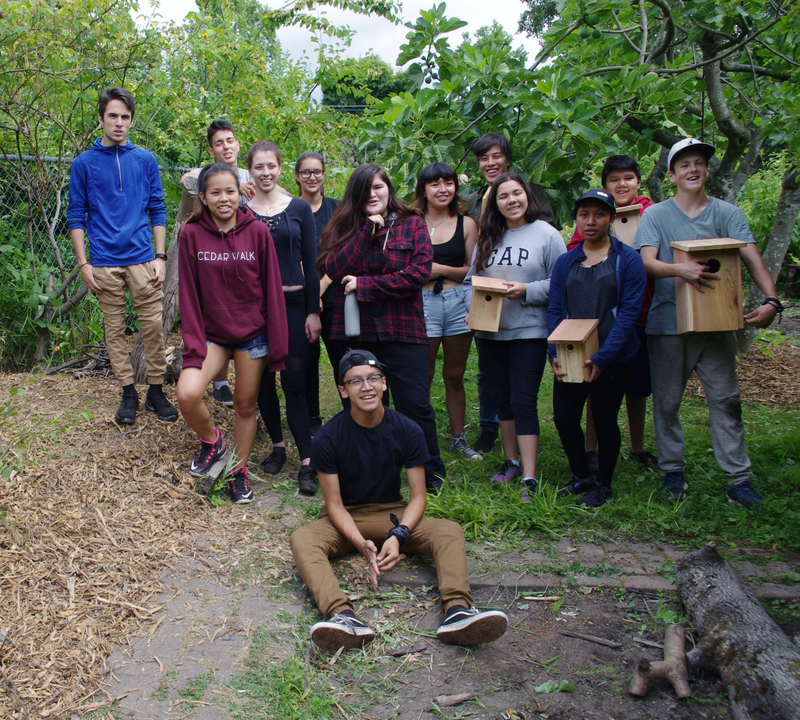 Twelve youth consistently showed up and remained motivated and engaged. 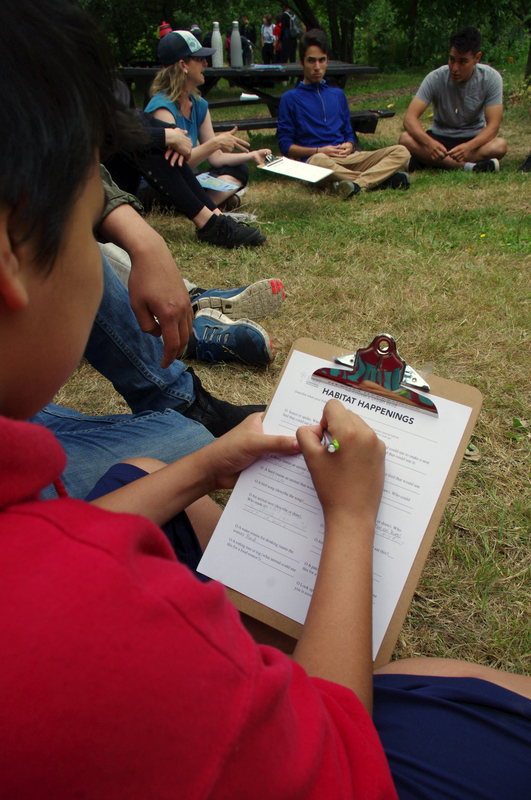 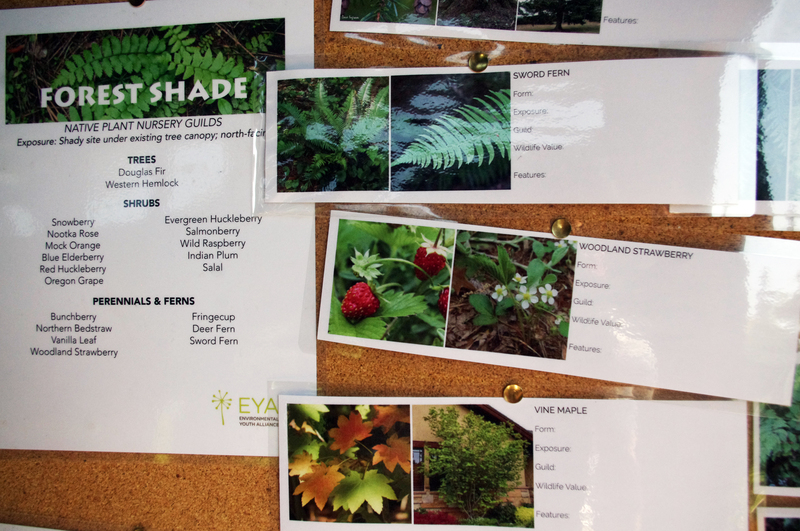 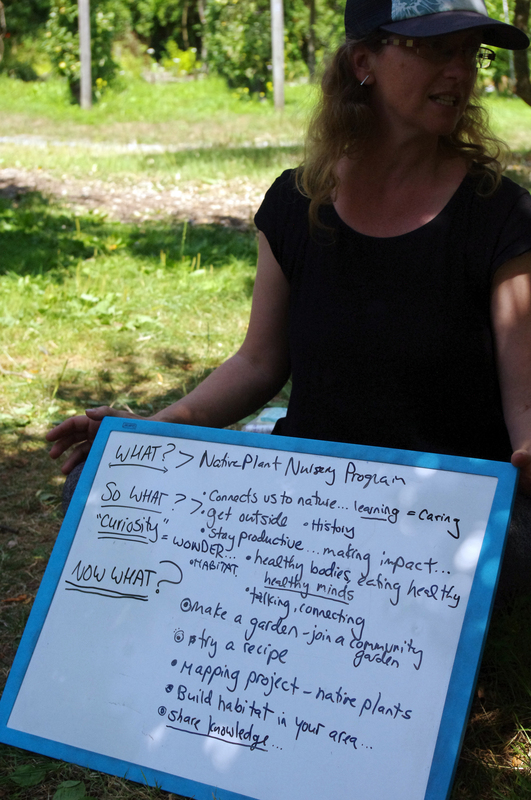 Big thanks to Environmental Youth Alliance Jess Henry for providing a rich and interesting experiential learning program with the youth gaining lots of great knowledge around native plants, ecosystems and sustainability. 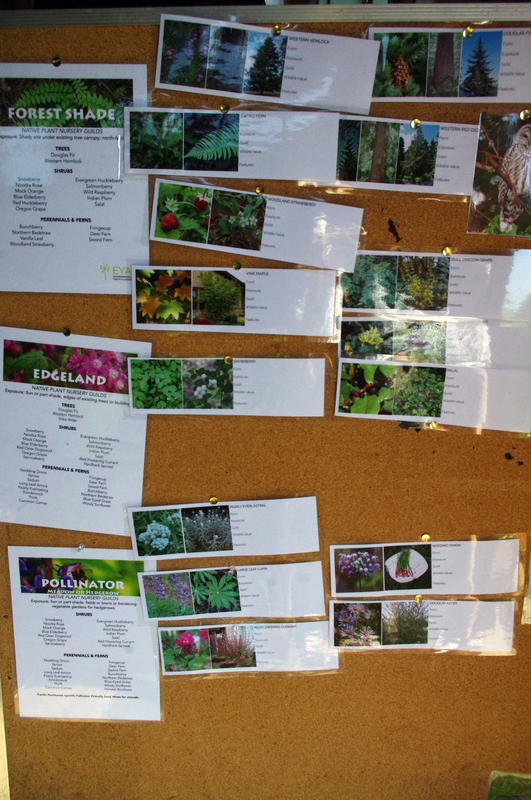 Spent our last day learning about plant habitat and planting in the Native Plant Demo Garden. 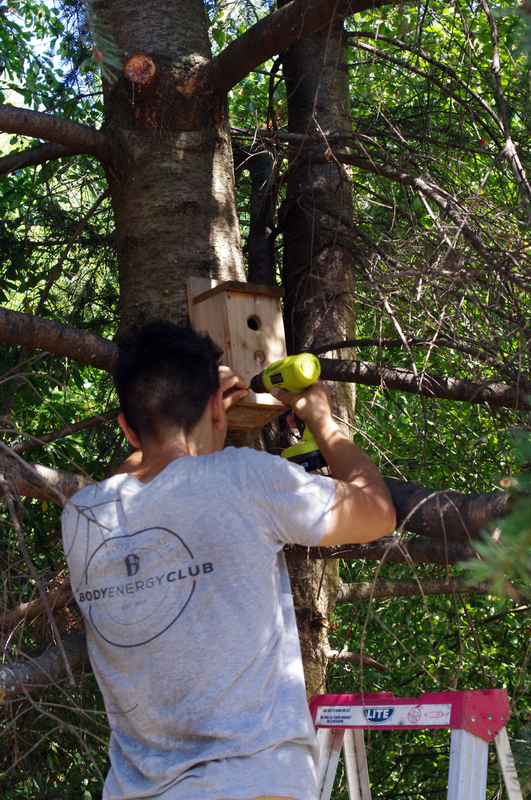 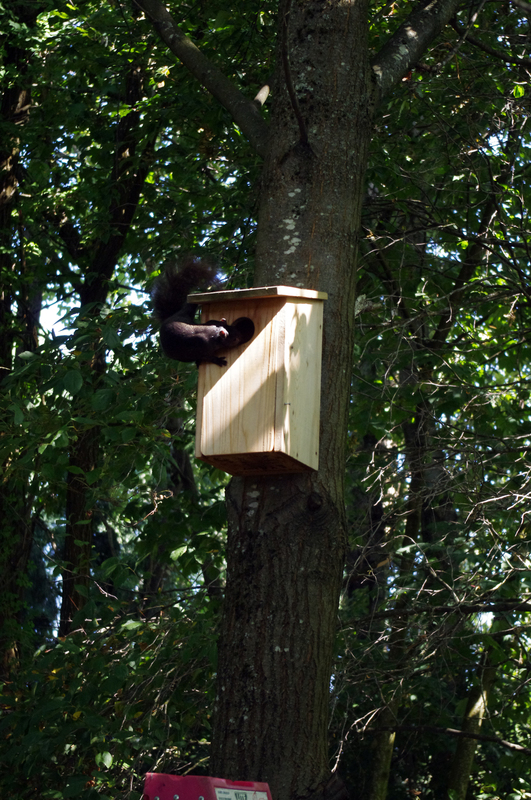 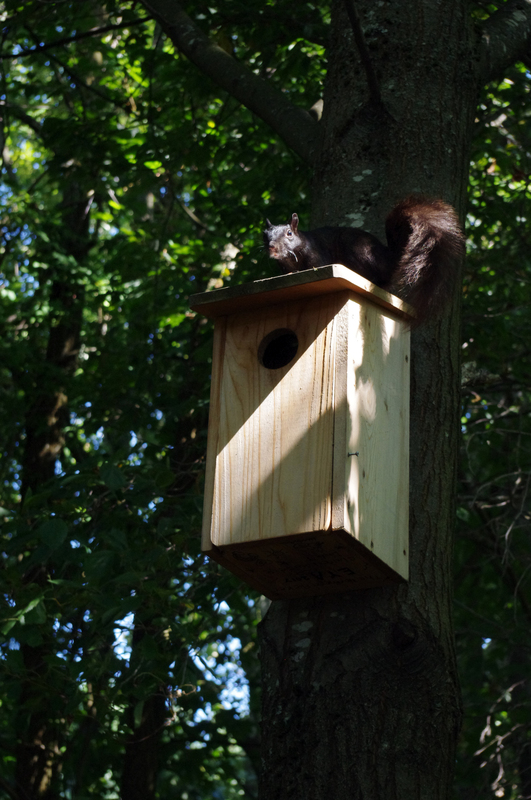 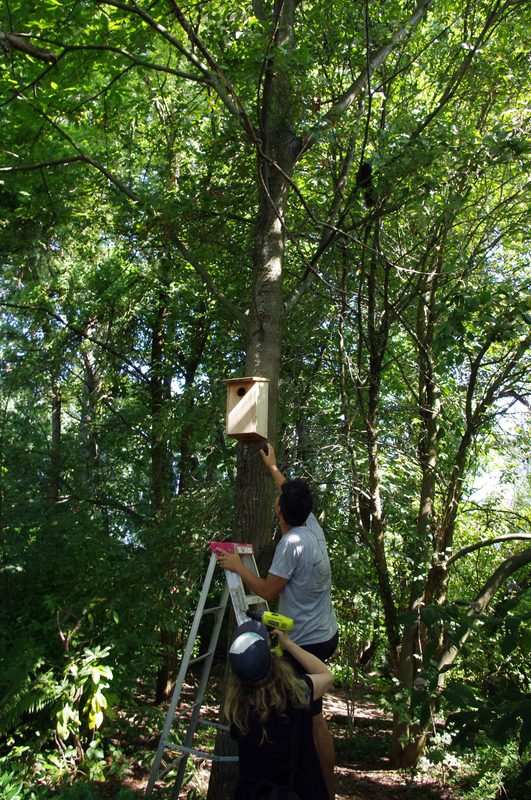 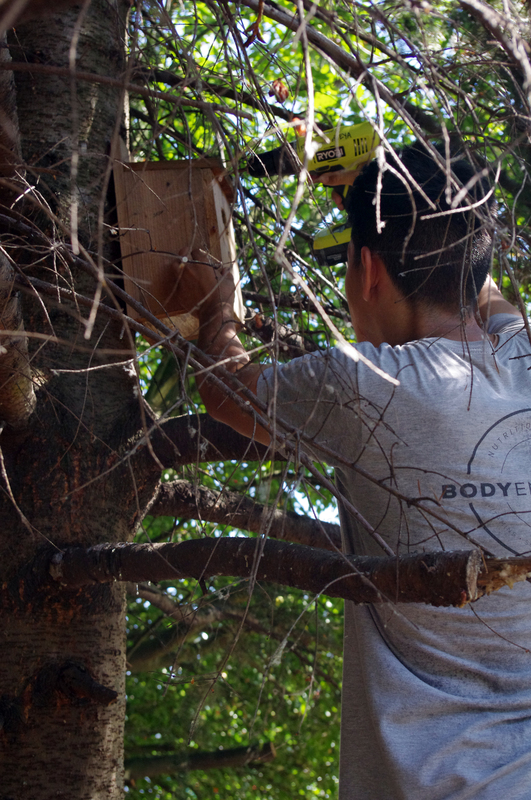 Also took some time to put up the bird houses we build, discovering along the way that a black squirrel (not native) had taken over a flicker (native) nesting home. 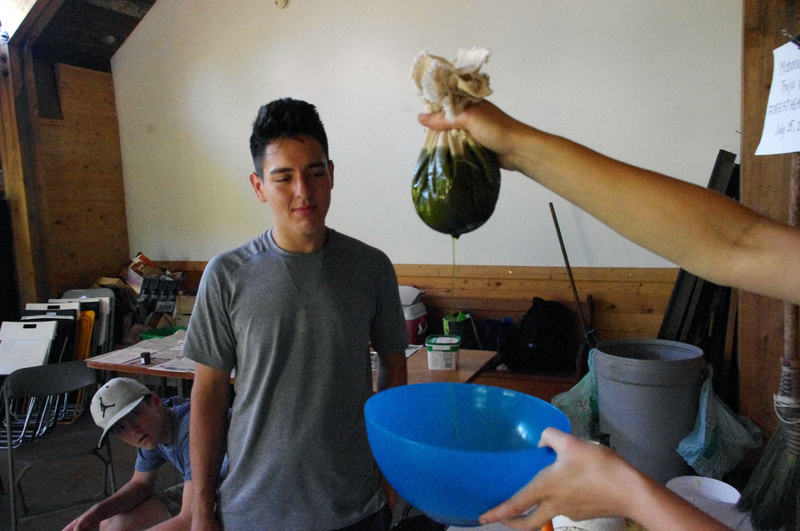 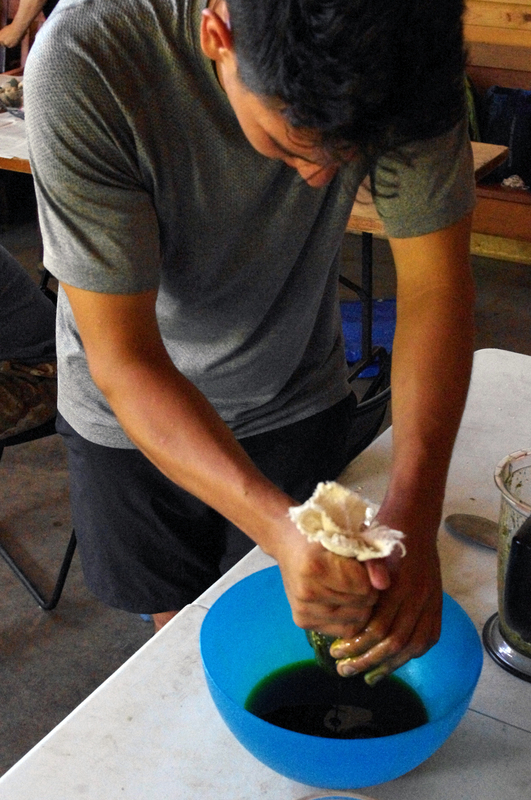 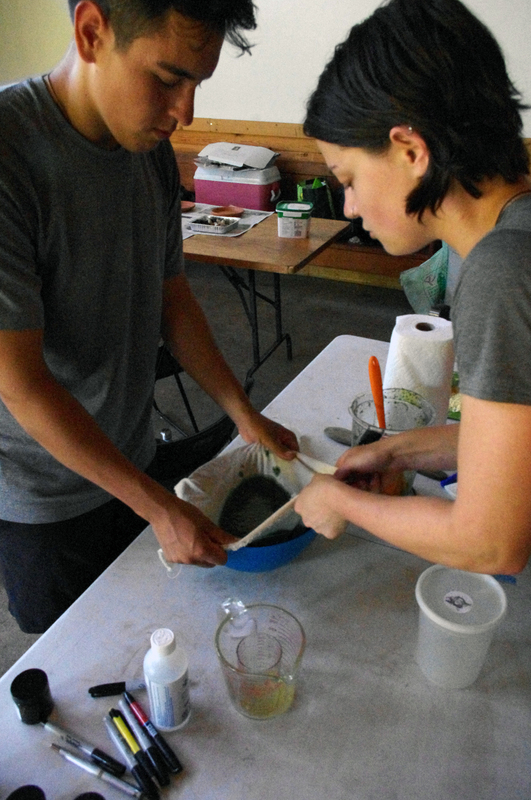 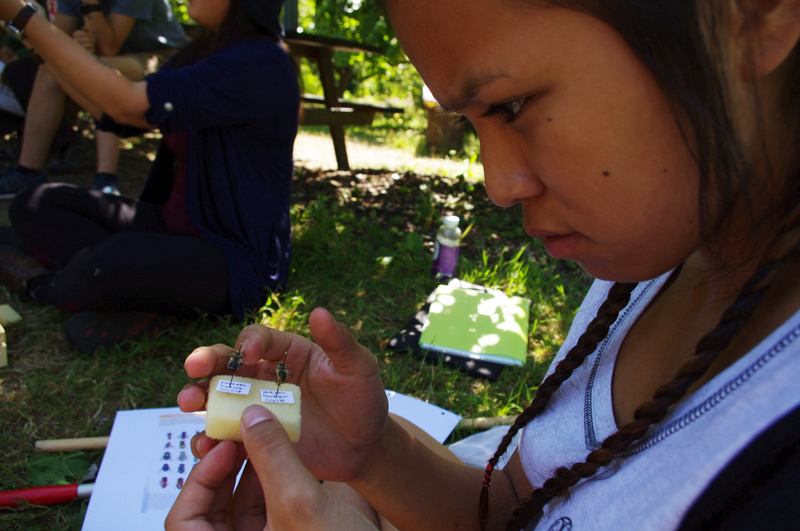 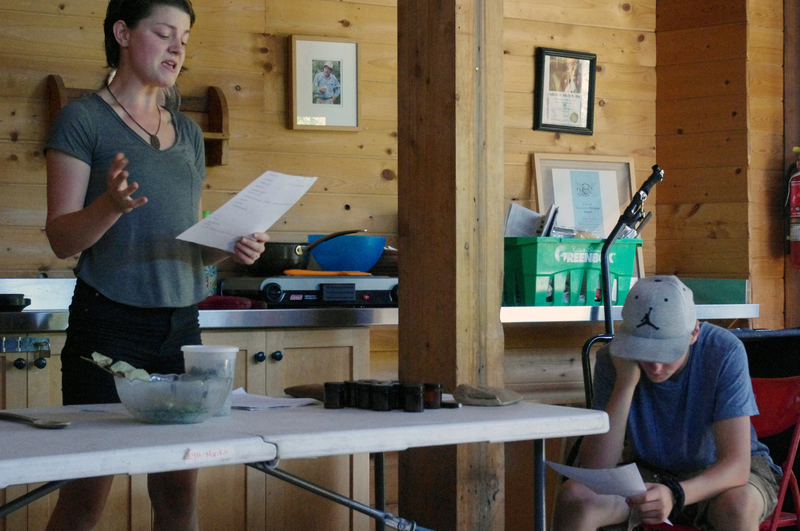 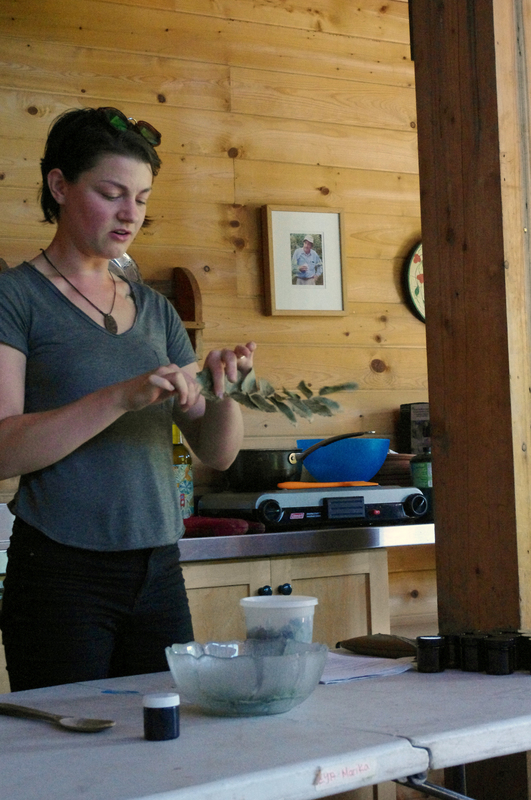 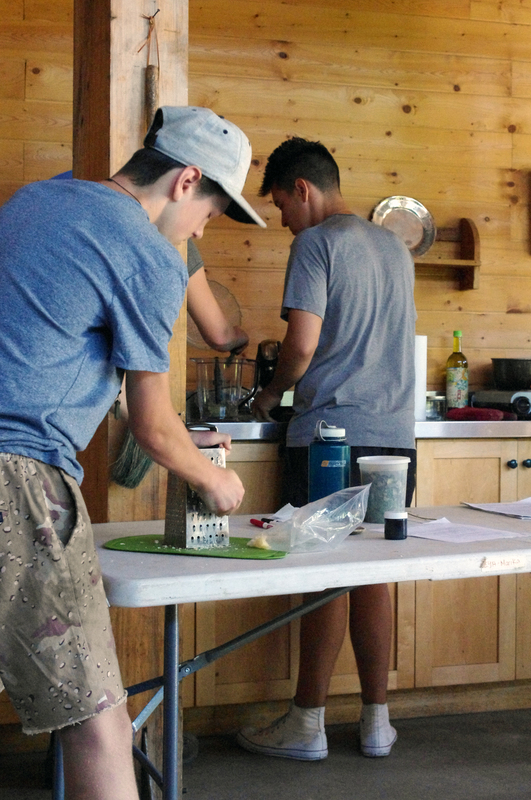 Learned more about the healing benefits of plants with Jaycee from the Environmental Youth Alliance who taught us how to make oregon grape and cedar healing salve with olive oil and beeswax and which is applied cuts, scrapes, & wounds to prevent bacterial, viral & fungal infections. 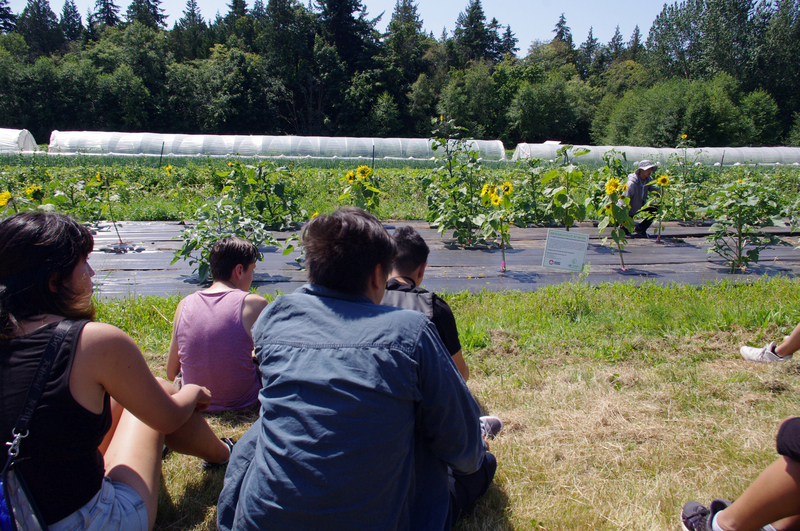 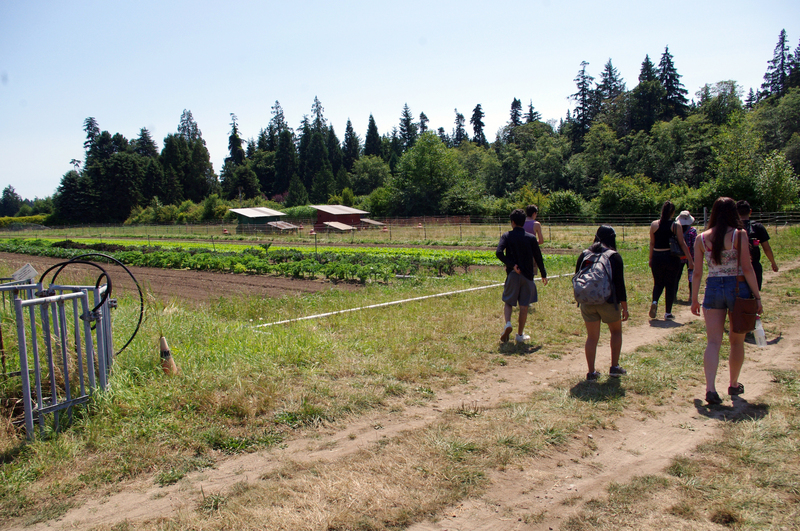 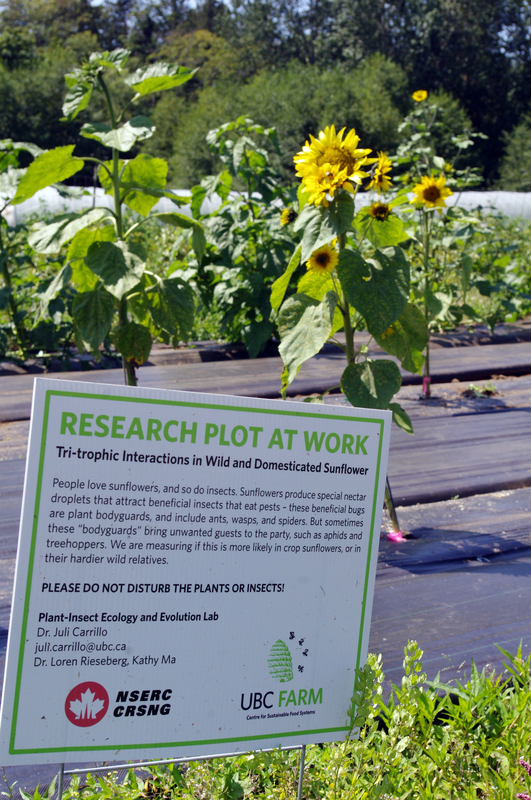 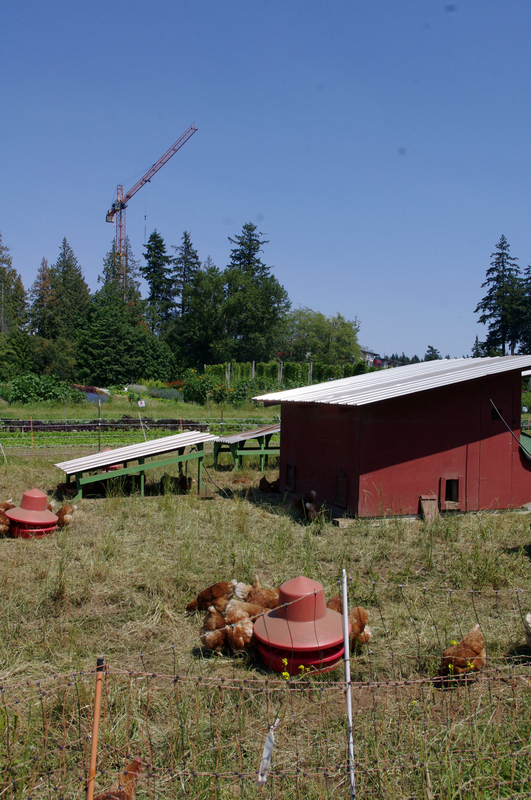 Made a field trip to the UBC Farm and opportunity for the youth to see and work on an operating farm. 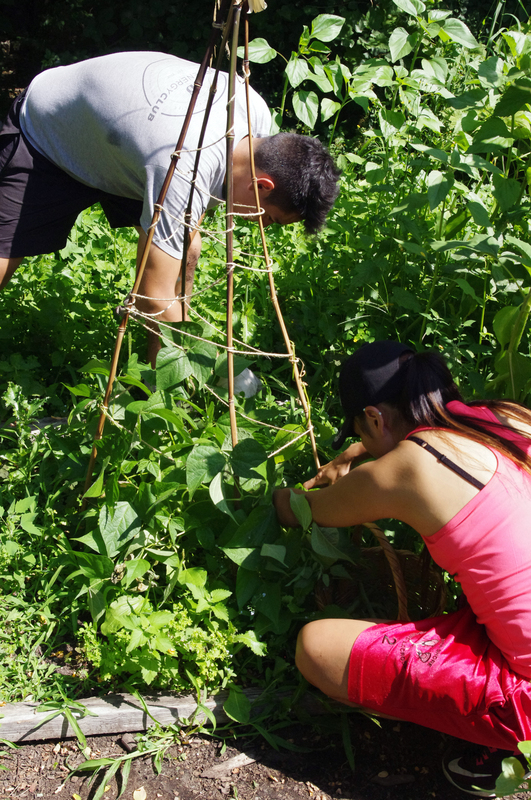 Toured the Farm and did a little weeding. 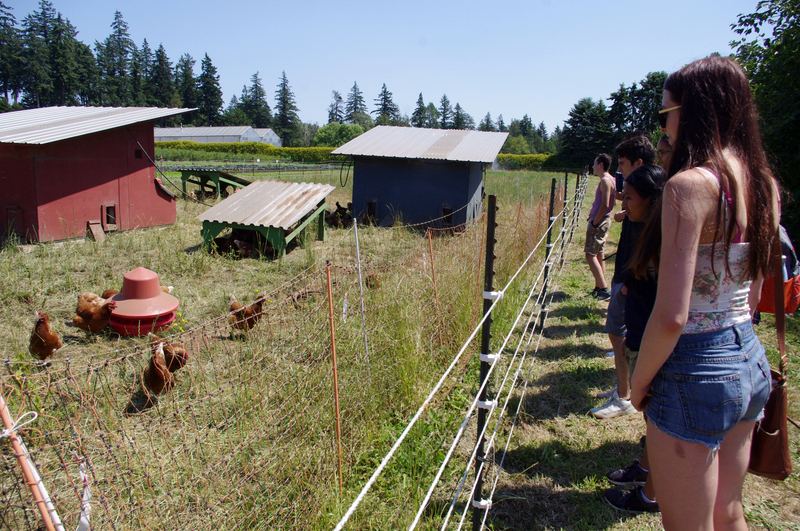 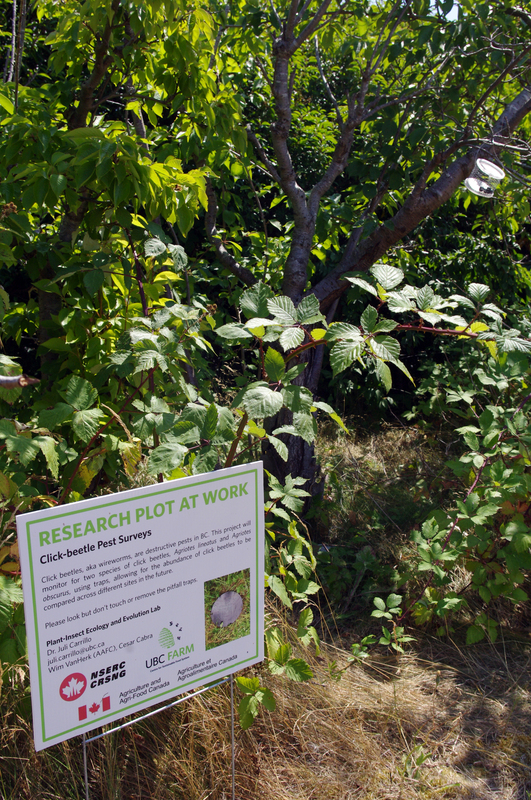 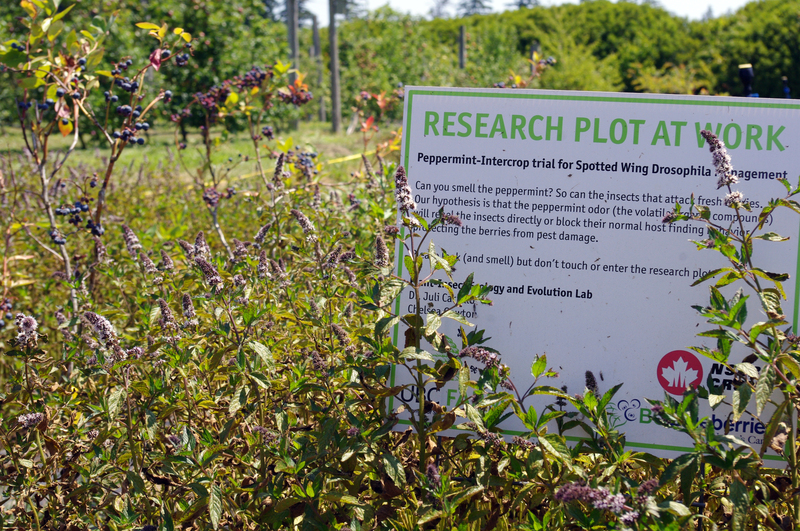 Also checked out the bee hives, chickens, researchers plots, orchard, and a walk through the edge forest as an opportunity to identify many of the native plants in the natural environment and that we have been learning about. 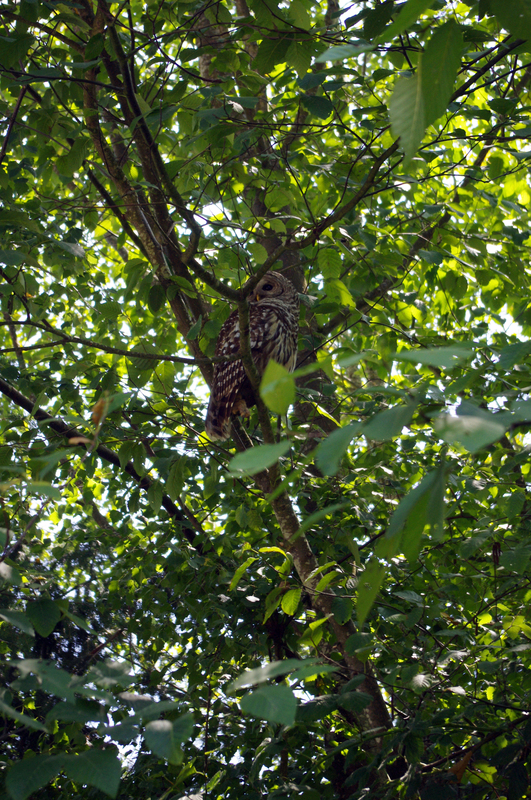 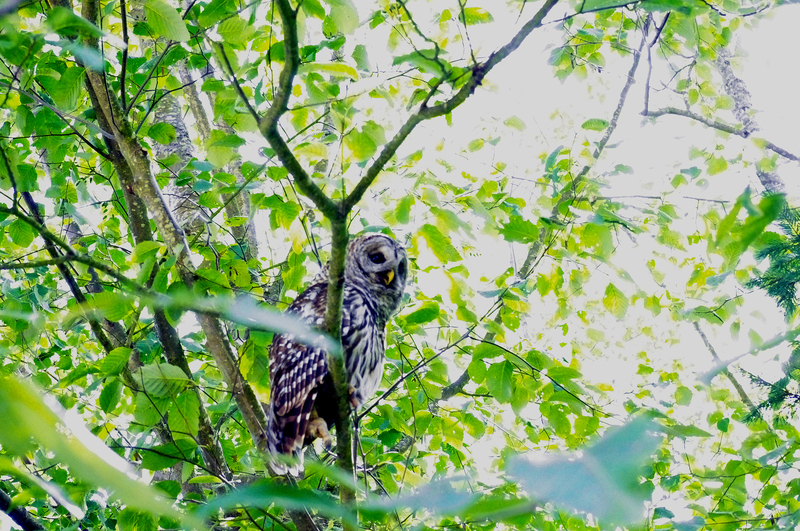 A highlight was seeing a large Barred Owl close up. 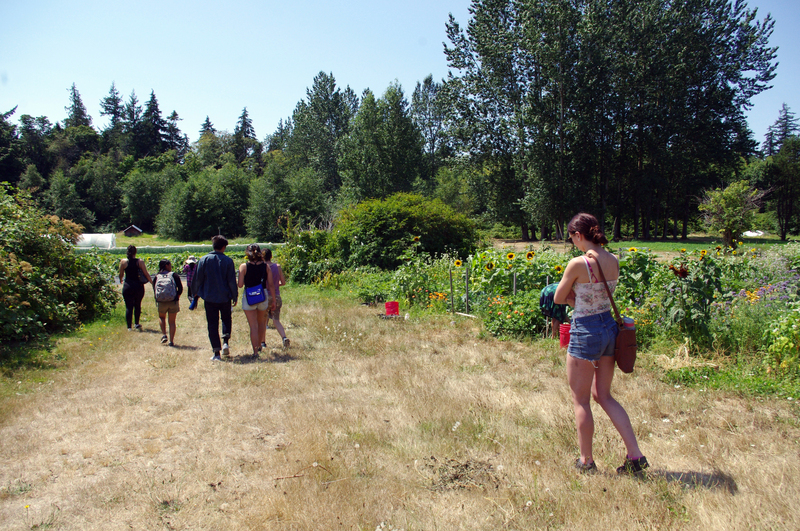 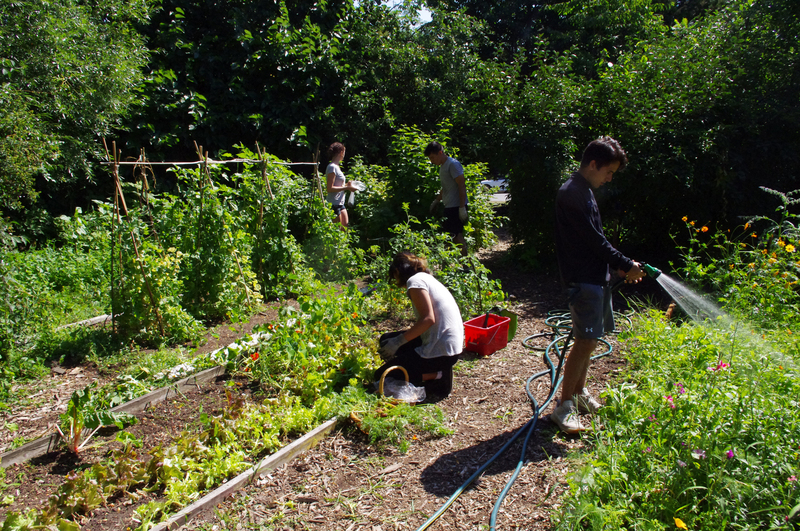 Was also good to show the youth an example of peri-urban farming, not to mention it is simply a very beautiful place to visit (despite ever encroaching development) and easy to get to by bus. 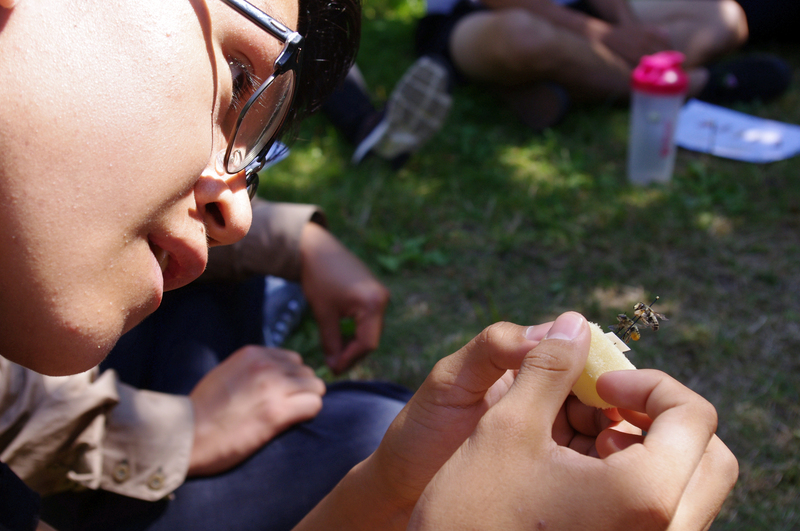 It was all about bees today, well actually all pollinators, including butterflies, wasps (yes, they are actually very beneficial), flies (they are too) and a whole host of other creatures that help pollinate and grow us food. 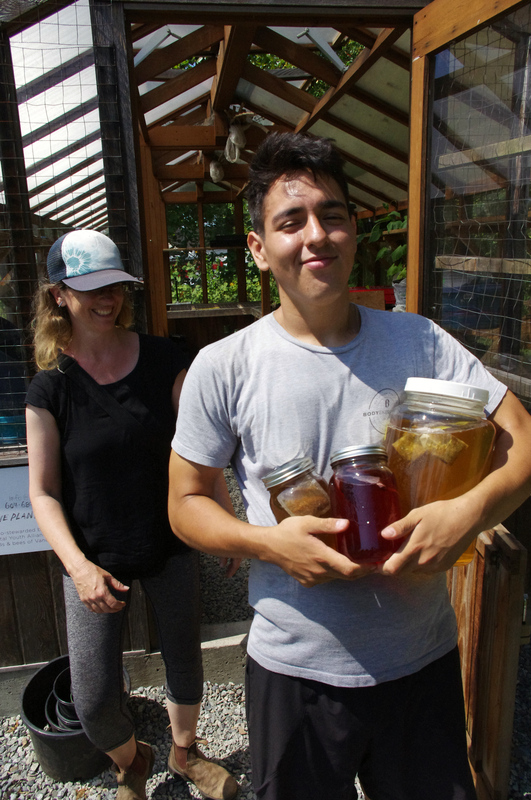 Thing is, bees are the best pollinator and with honeybees as the only pollinator that actually collects pollen protein to feed the hive. 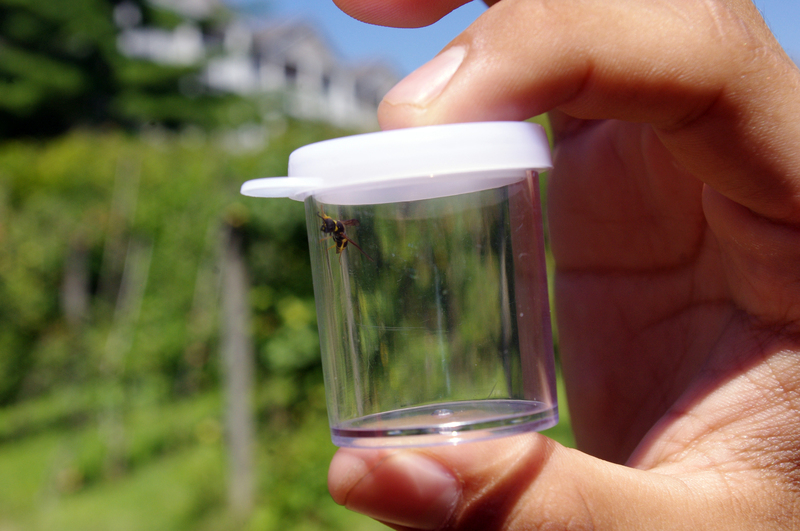 All others are just in it for the nectar (sugar). 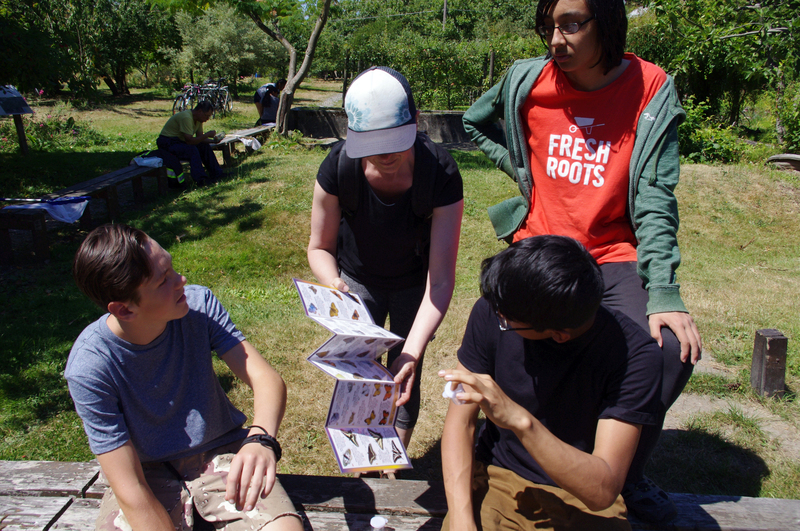 Marika from Environmental Youth Alliance helped us learn to identify the difference between bees, wasps, and flies with many non bees that look alot like bees, even flies. 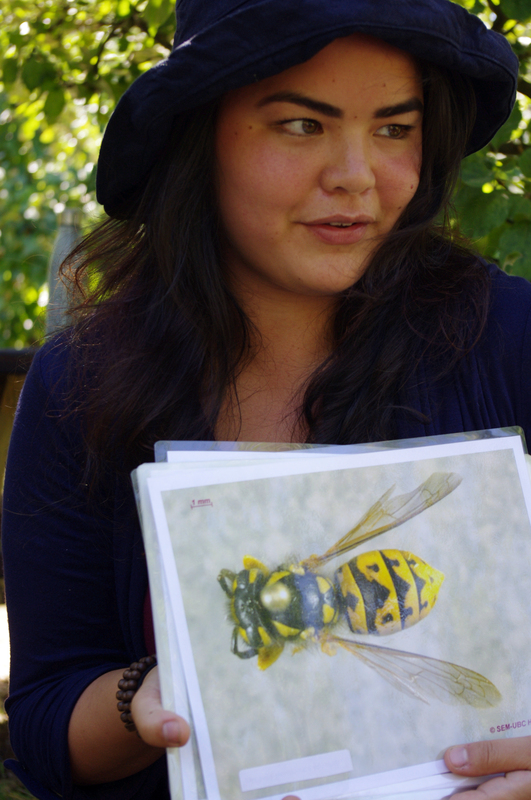 Even among bees, there are thousands of different species, with many now on the endangered list. 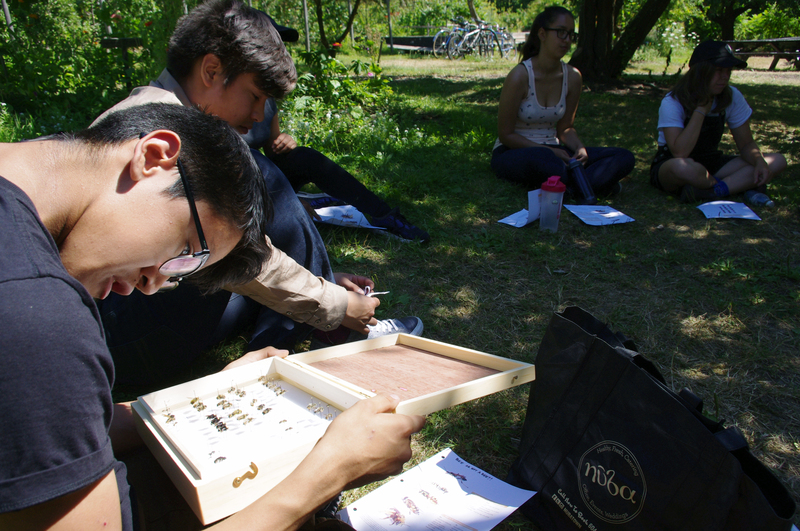 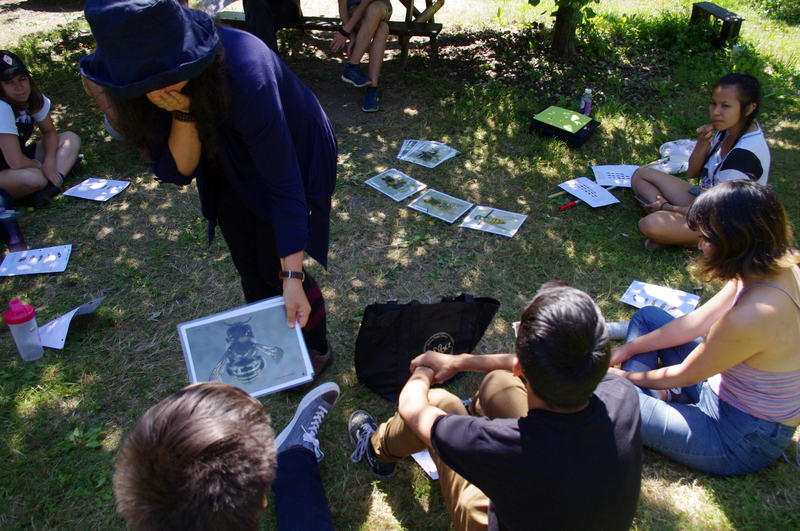 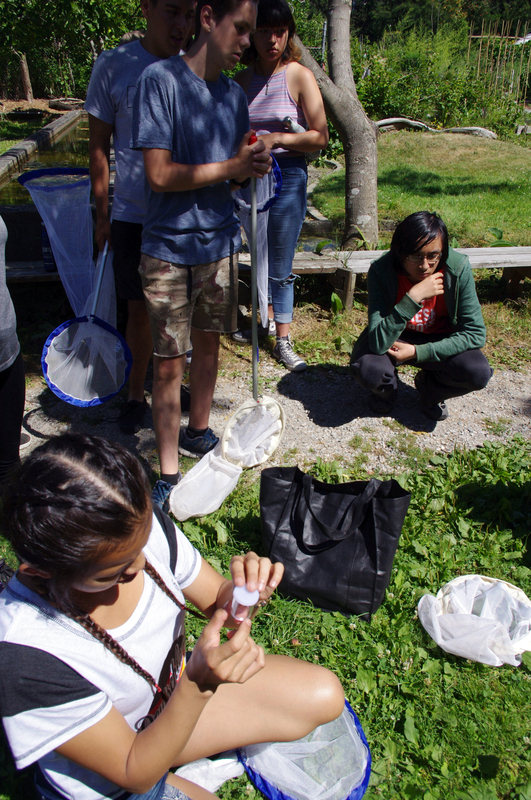 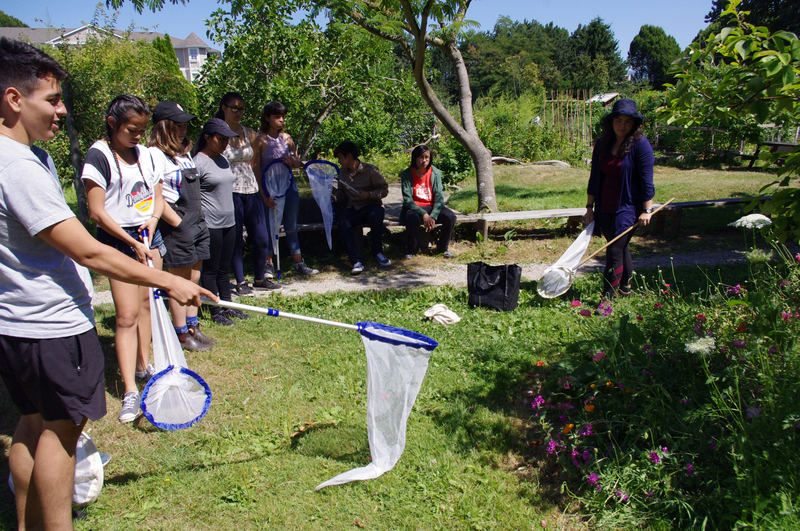 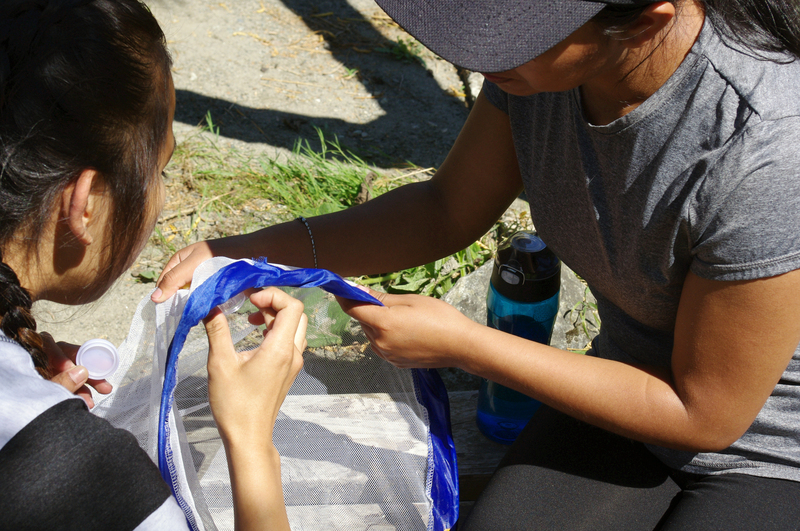 Then the youth had a chance to capture some insects and identify them before letting them free, which was a fun activity. 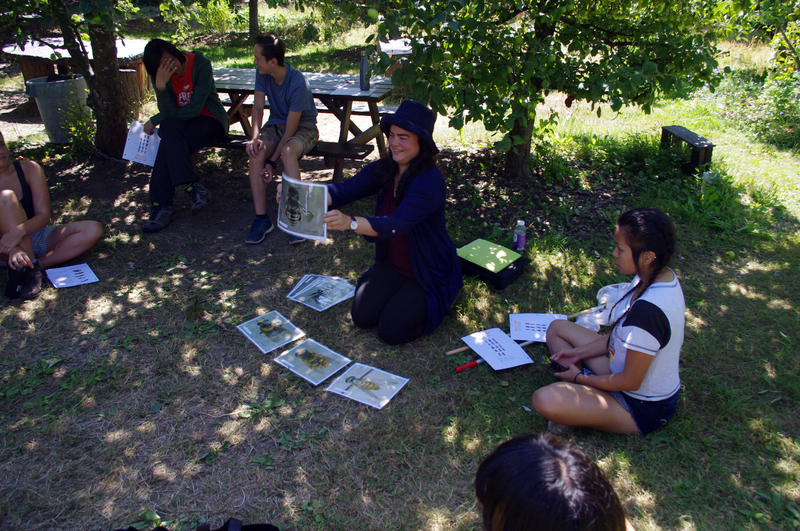 It was all about the birds today starting off with some basic habitat concepts and learning about the birds that frequent the gardens. 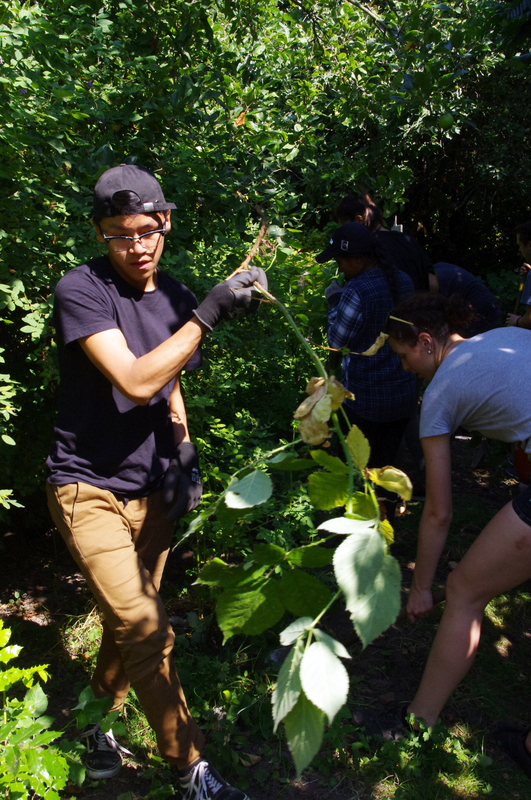 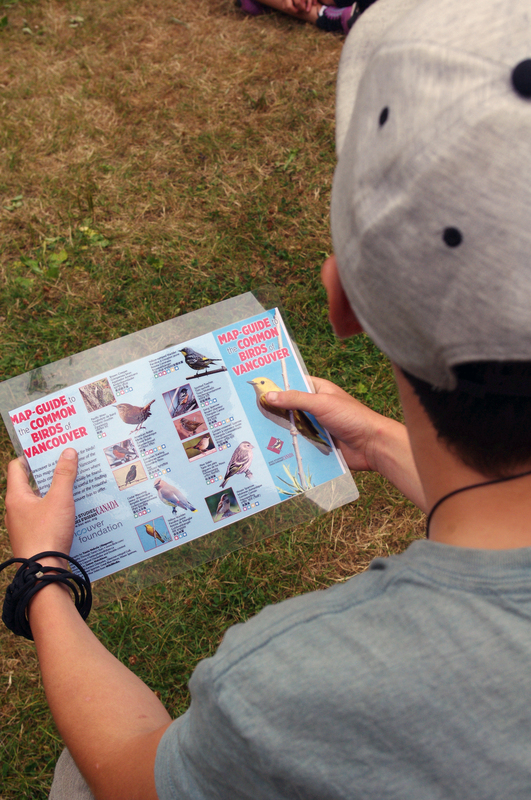 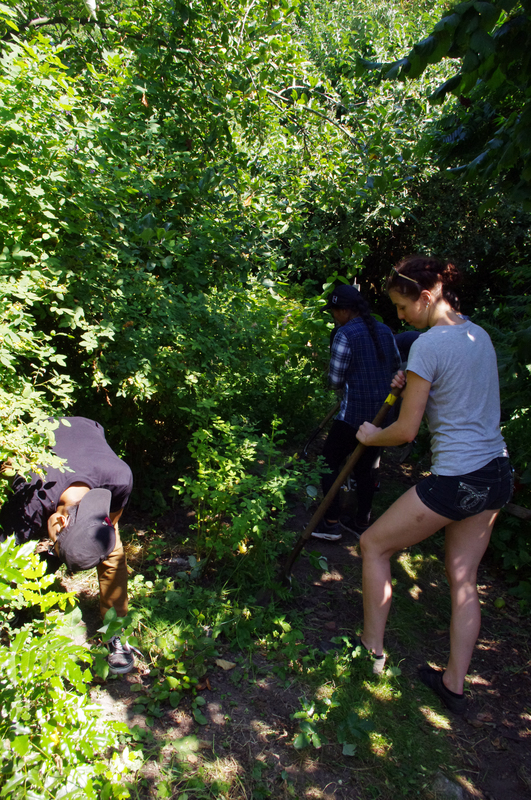 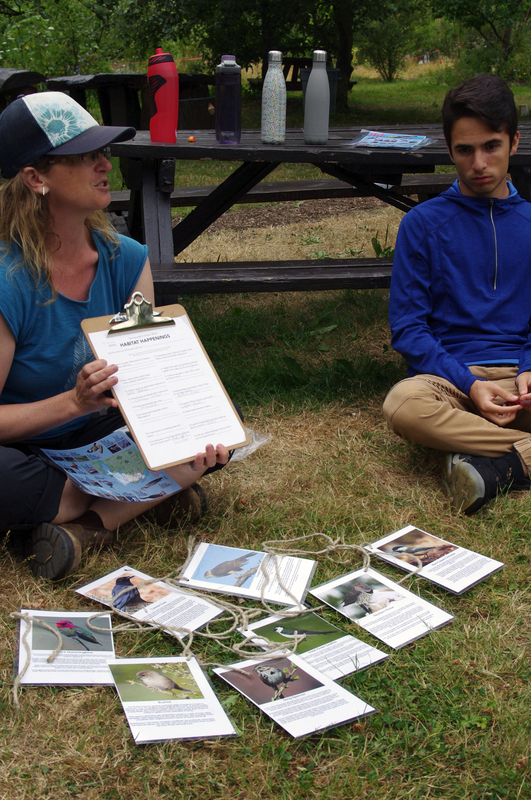 The youth went for a “scavenger hunt” exploring the forest area and searching for bird and animal habitat features and looking for clues where particular birds and other animals nest or spend time, for example animal tracks and droppings or bird sounds. 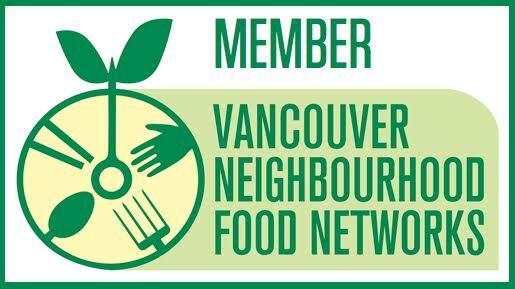 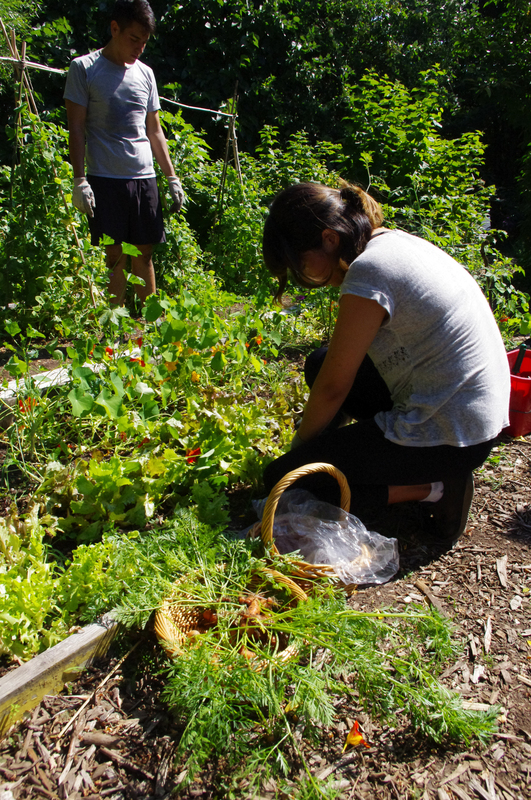 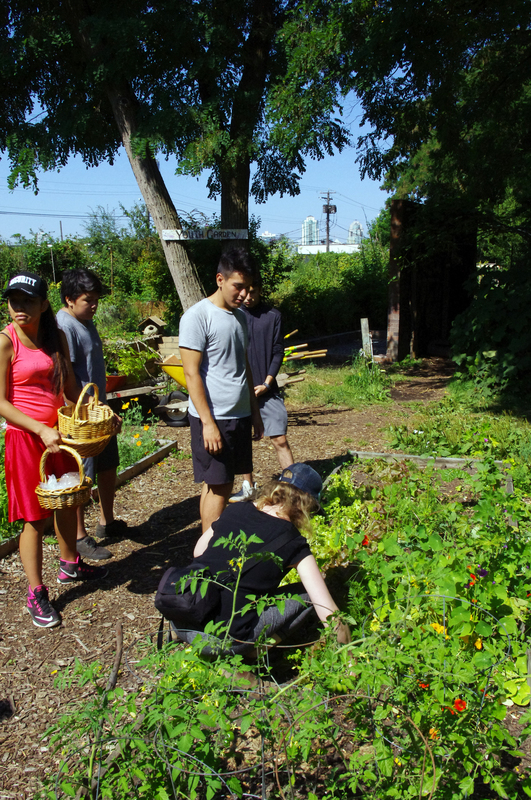 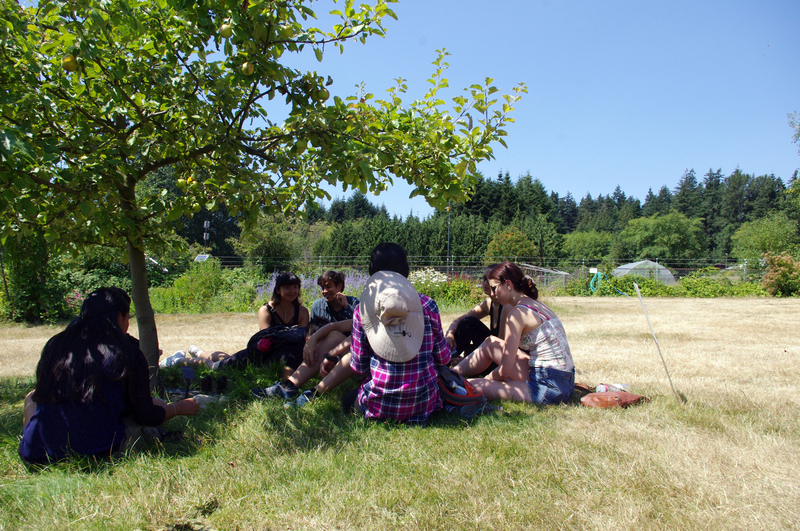 Strathcona and Cottonwood Gardens are quite remarkable considering their inner city location. 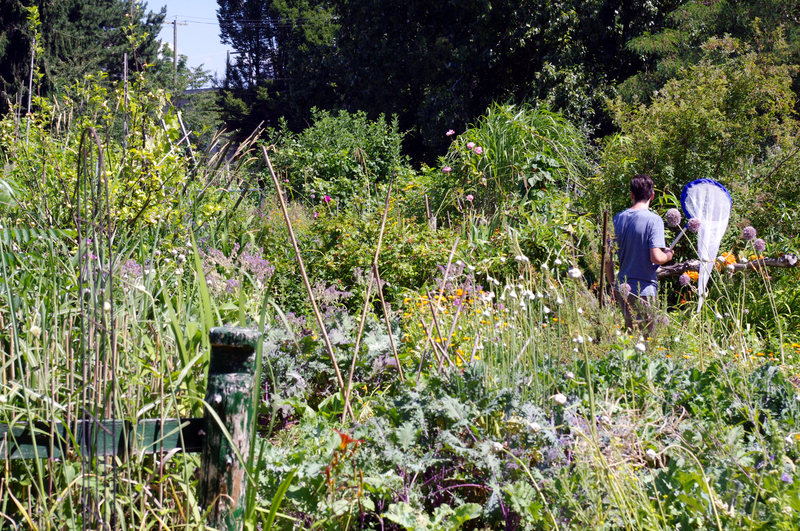 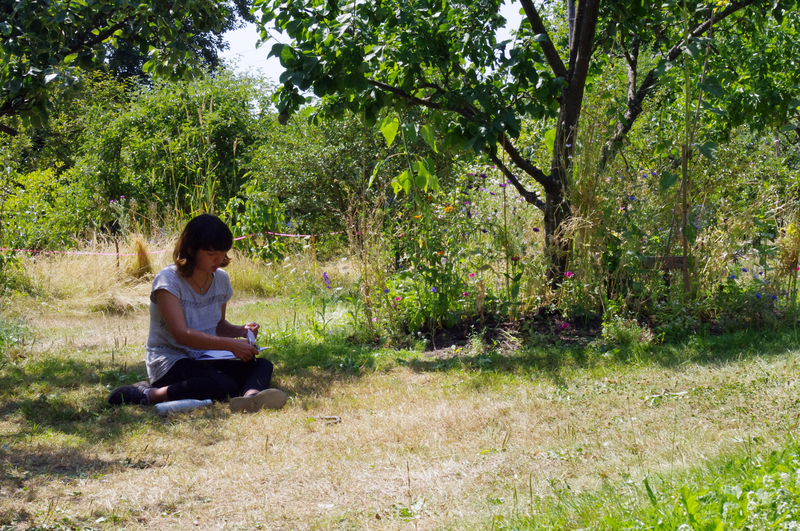 In these gardens it feels like we are out of the city. 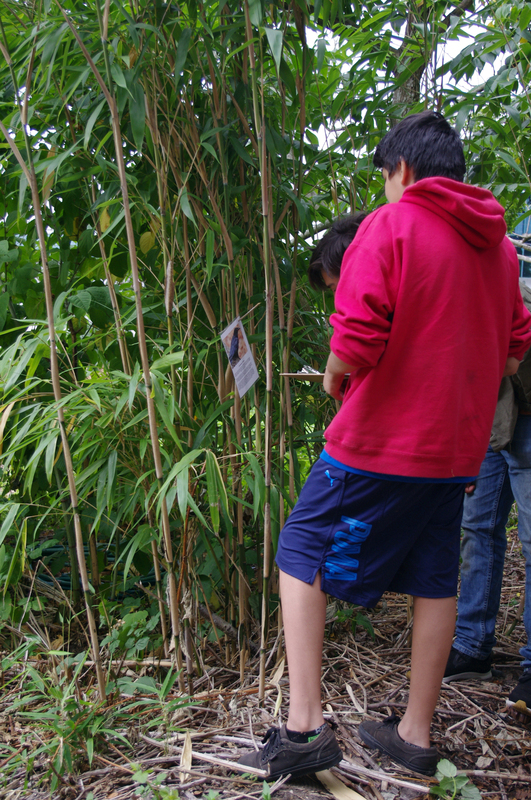 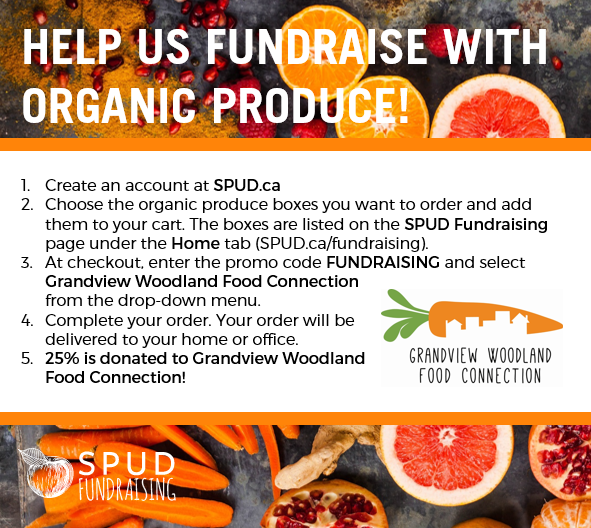 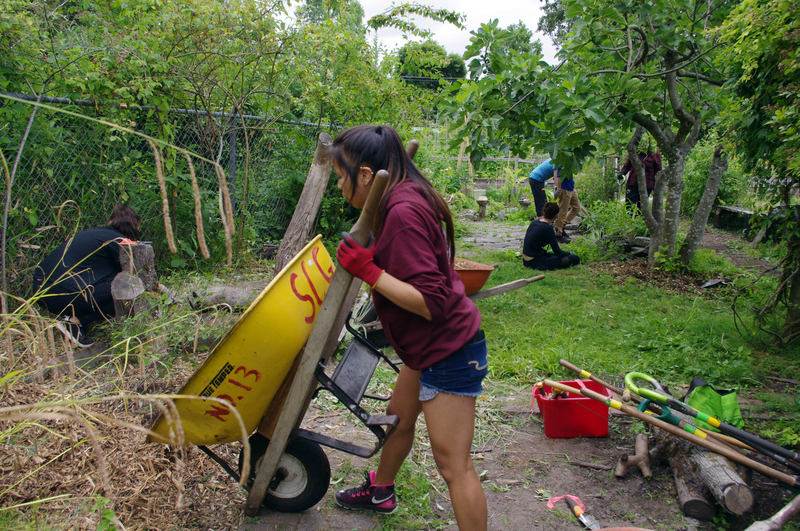 More importantly, the forest gardens provide exceptional habitat for many animals, so provide a fantastic educational opportunity close to where the youth live and go to school. 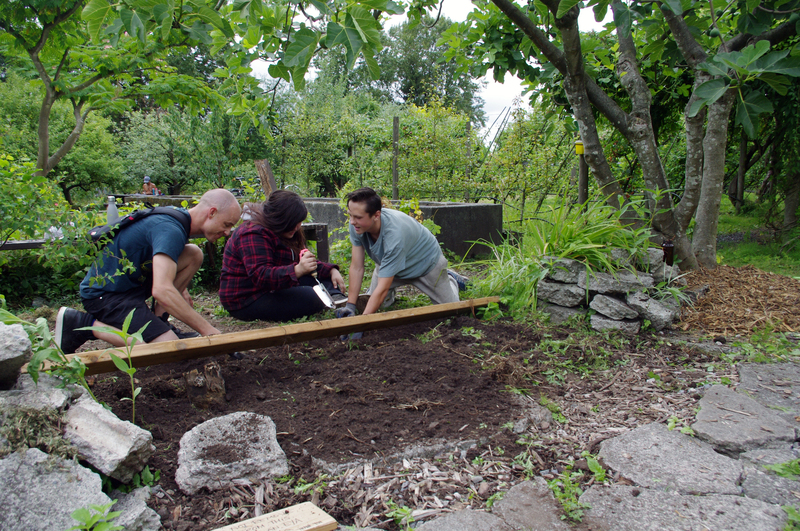 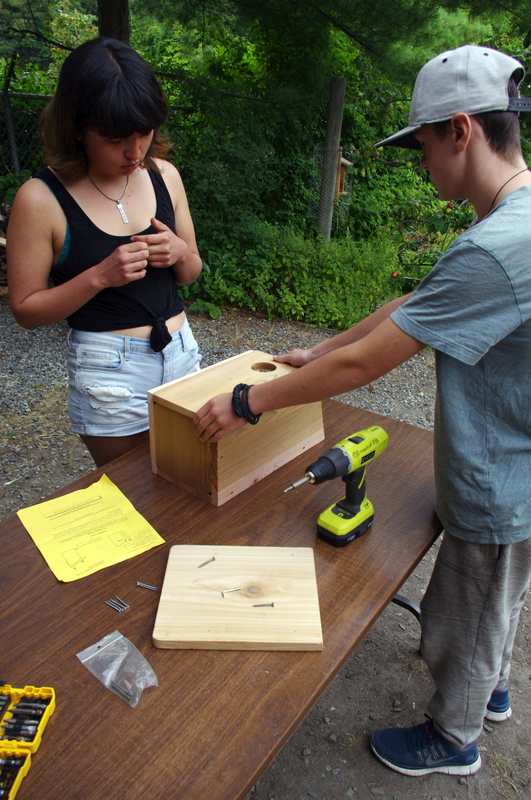 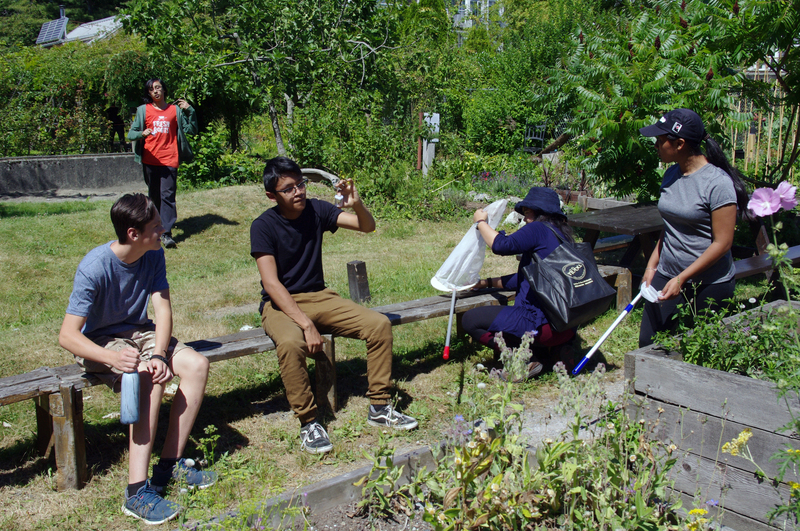 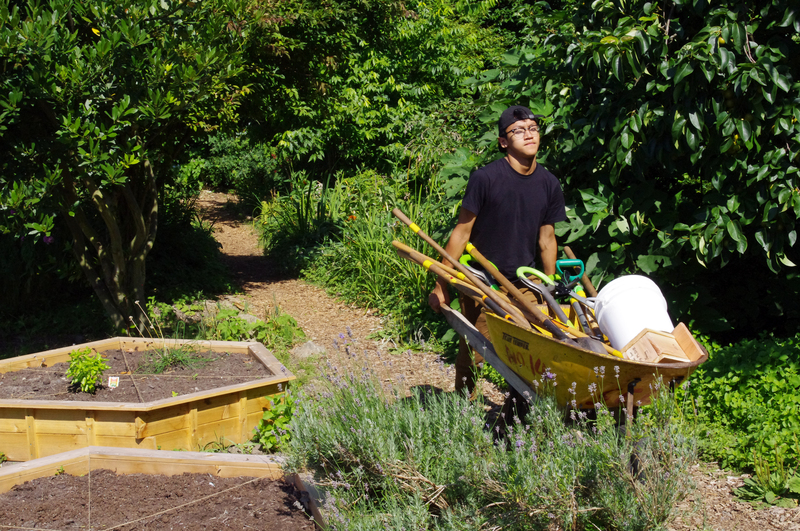 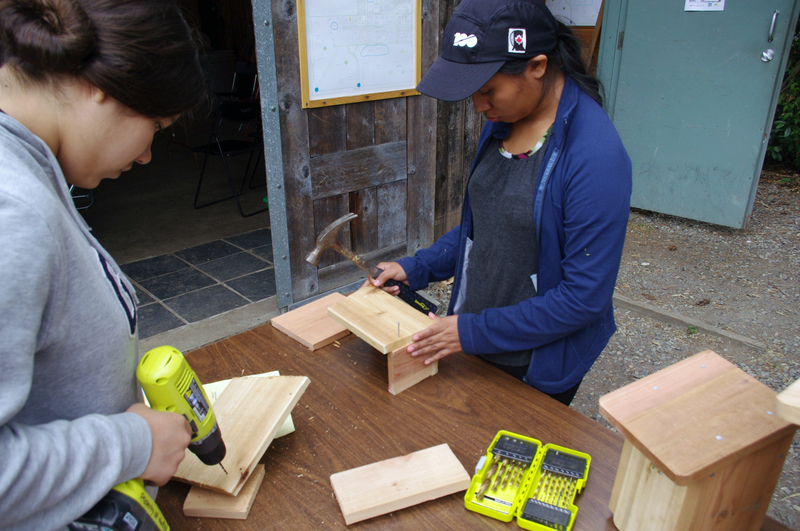 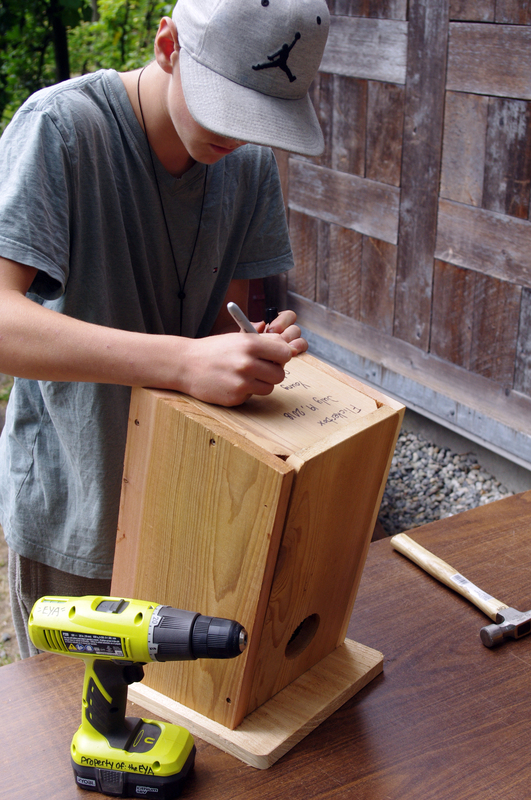 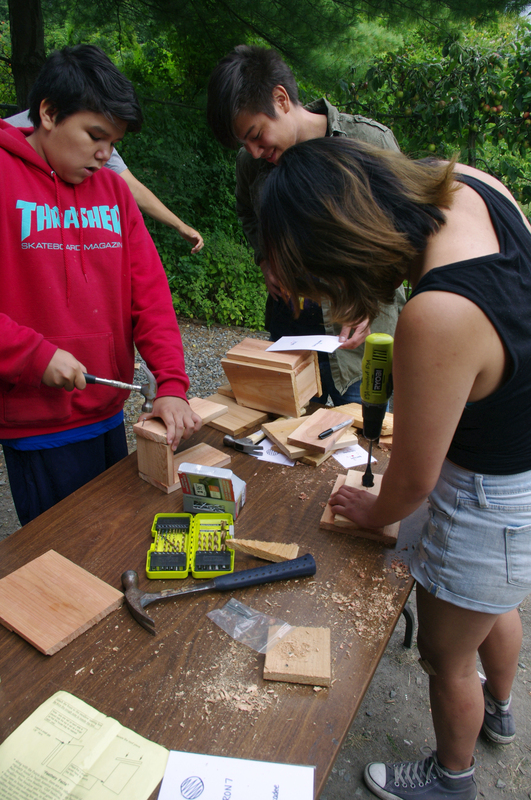 In the afternoon we spent time building chickadee and flicker bird houses with some youth planting in the native plant demo garden.